Fatoush is a traditional Lebanese recipe, where purslane is the main ingredient. When I discovered this recipe I promised to prepare it with my first purslane harvest and so I did, although I must admit that I was missing some ingredients from the original recipe, like cucumber and the traditional thin Arabic bread. Chop the mint and add to lemon juice, vinegar, olive oil, garlic and salt. 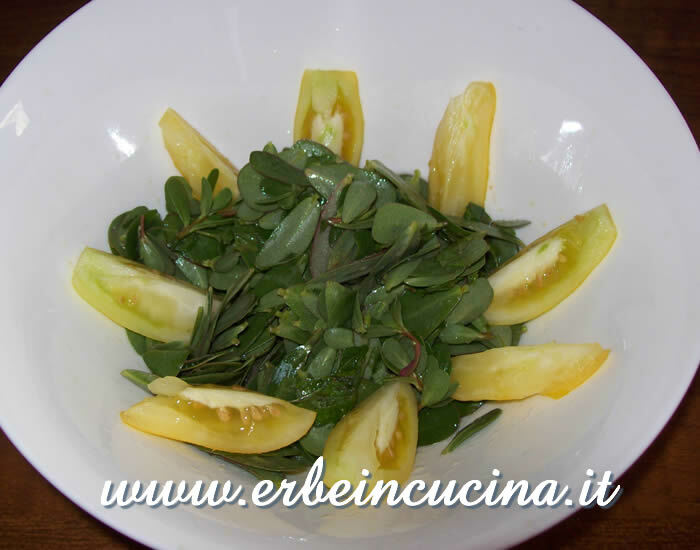 Season purslane and tomatoes cut chunks with this dressing. 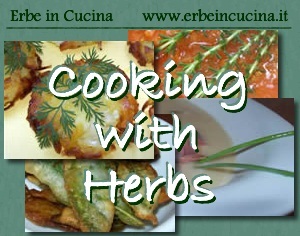 This goes The Well-Seasoned Cook who's hosting Weekend Herb Blogging, handled by Cook (almost) anything at least once. Looks marvelous, Graziana! 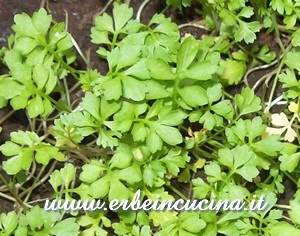 Though I ve made fatoush before, I ve never had it with purslane. Lovely. Thanks for joining in WHB! We use this vegetable in Indian Cooking too. I knew its name in my language and thanks to you now I know what it is called in English. I will make salad like this soon. I have yet to taste raw purslane. I have only used it in soups. This looks like a very nice way to prepare it.